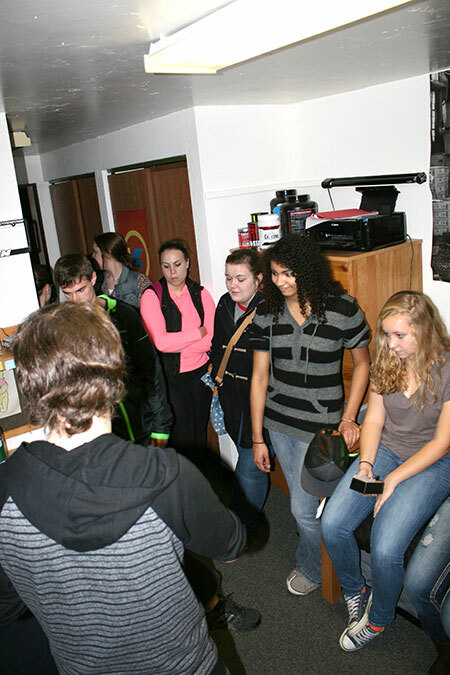 Students in Prof. Regan A. R. Gurung’s freshman seminar class had a different kind of Halloween experience this Oct. 31, stepping into the world of a paranormal investigator as he checked out a reputedly haunted campus dorm room. 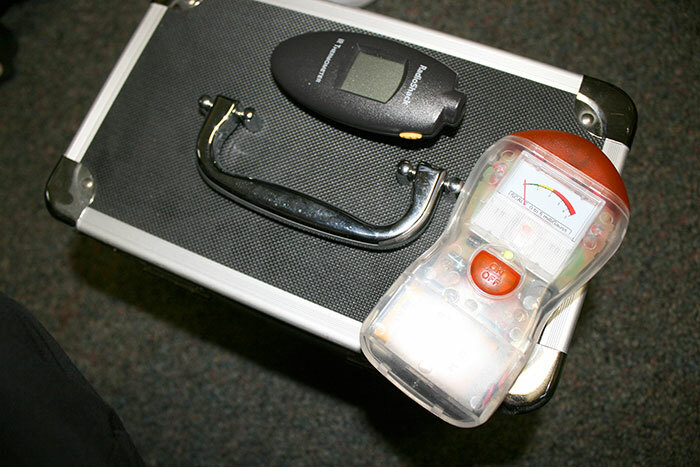 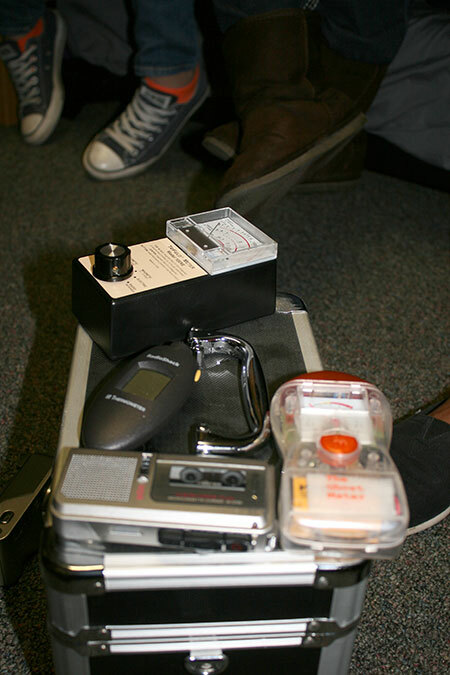 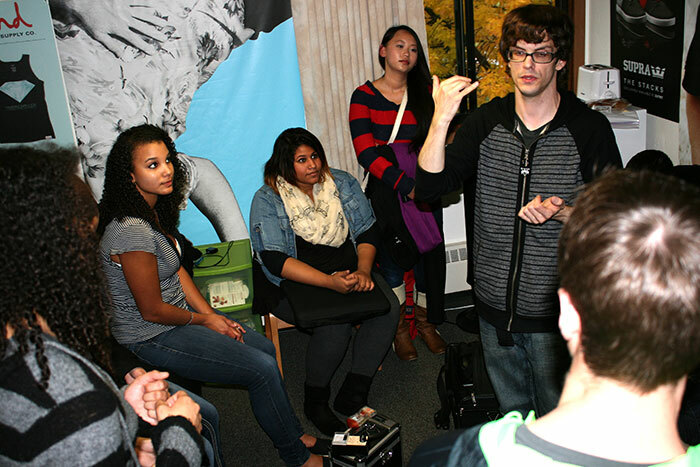 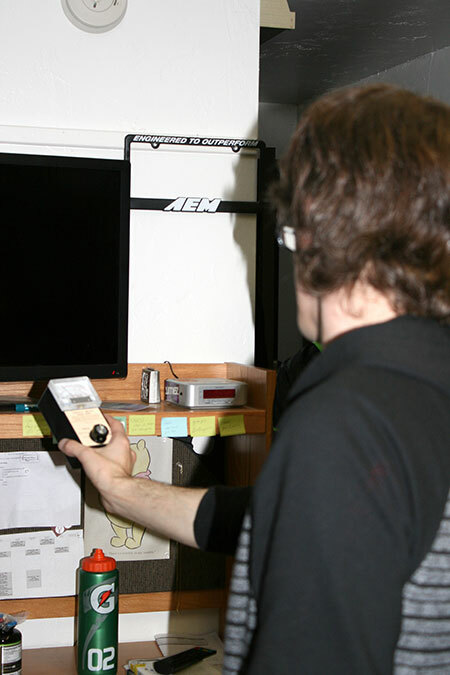 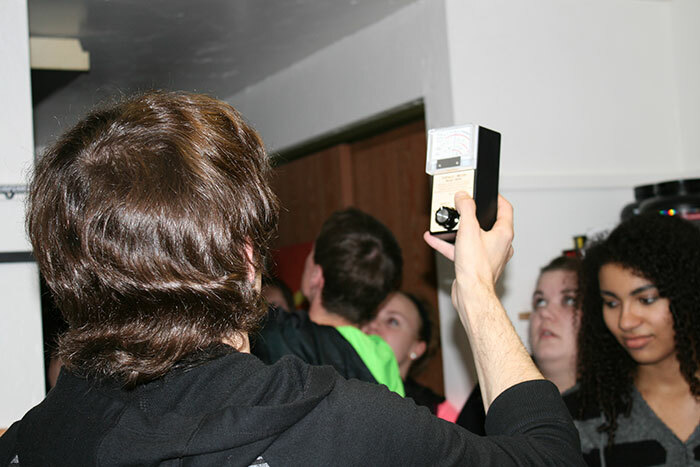 Investigator Steven De Spain, who heads Great Lakes Association Spirit Searching, used a variety of sensors and other equipment to attempt to detect paranormal activity in the room, located on the third floor of Byron Walter Hall. 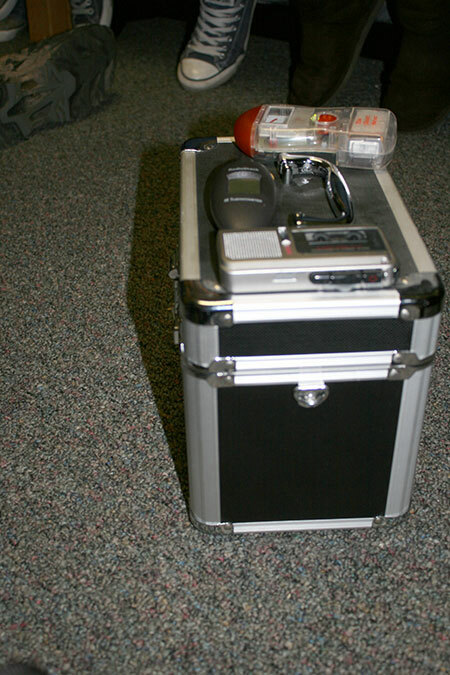 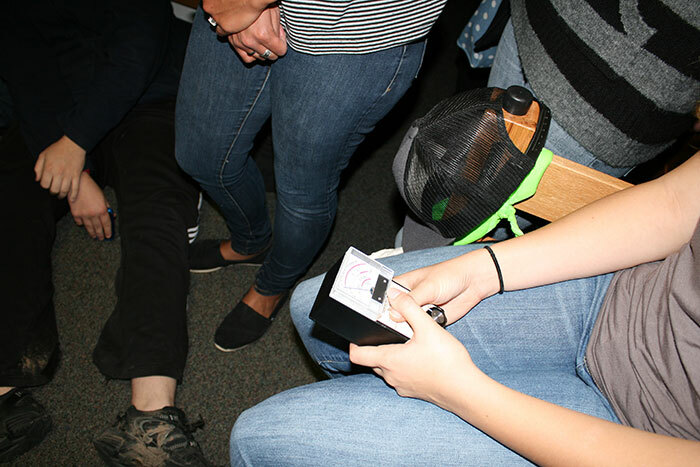 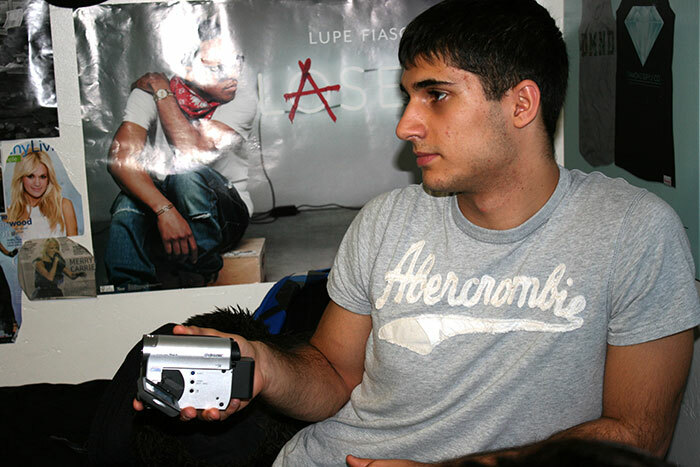 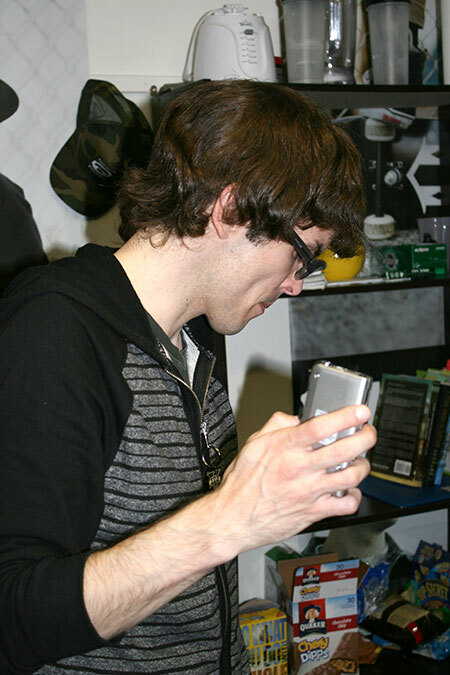 Students used audio recorders and video cameras to capture the investigation for later review. 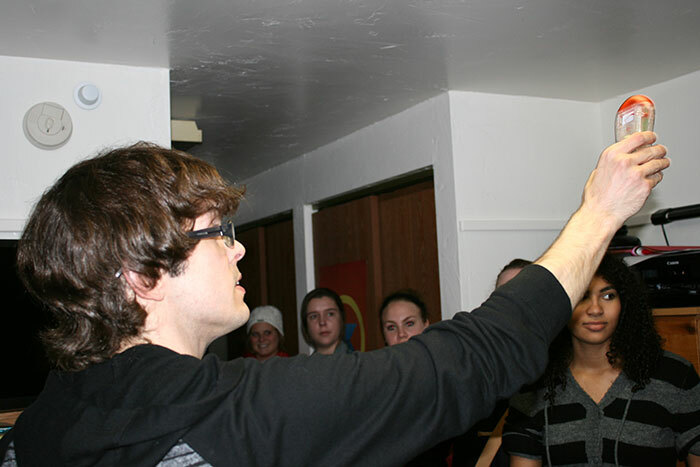 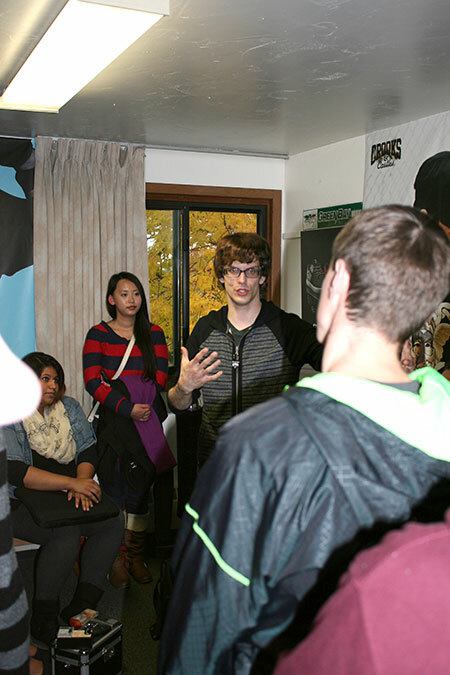 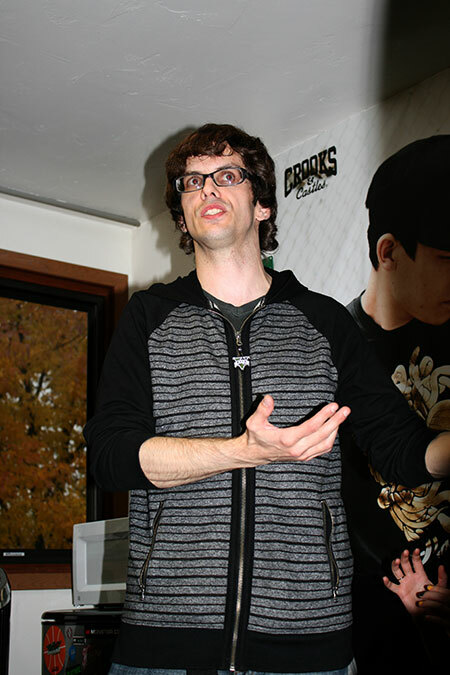 It was the perfect Halloween activity for the course, titled “Gods Ghosts and Goblins: The Psychology of Belief.” De Spain spoke to the students about what he does before the class set out for the reportedly haunted room. 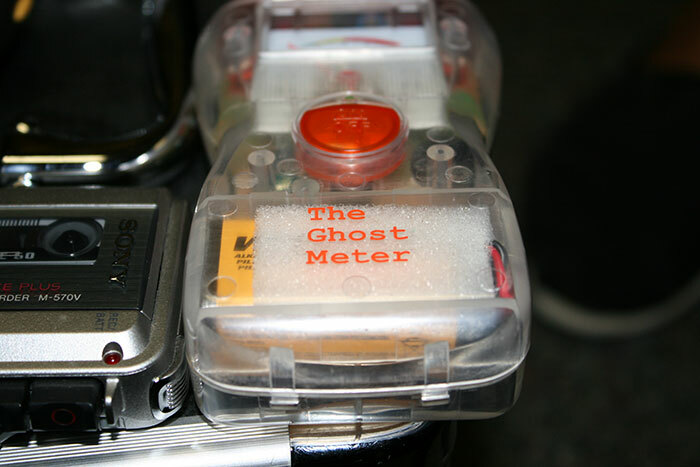 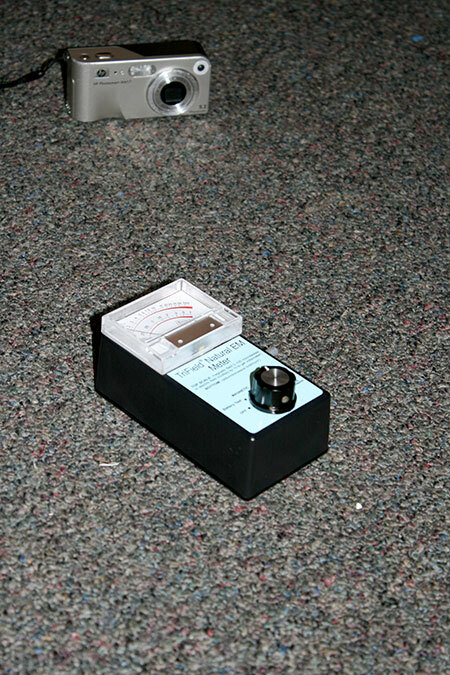 So what did the ghost-hunters find? 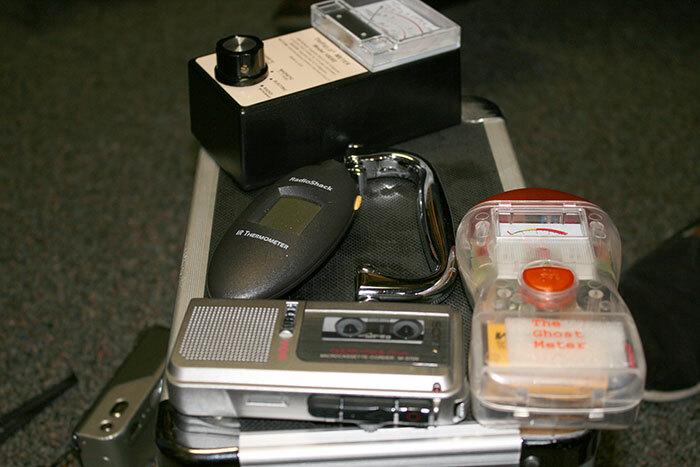 No conclusive word yet, but they’ll be reviewing the tapes. 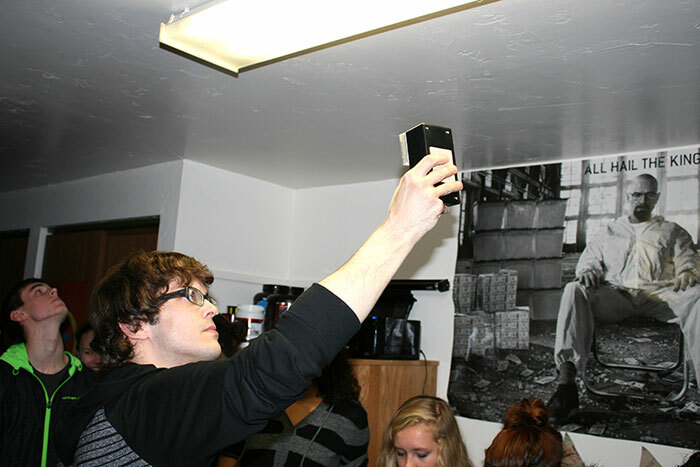 In a well-lit room, of course. 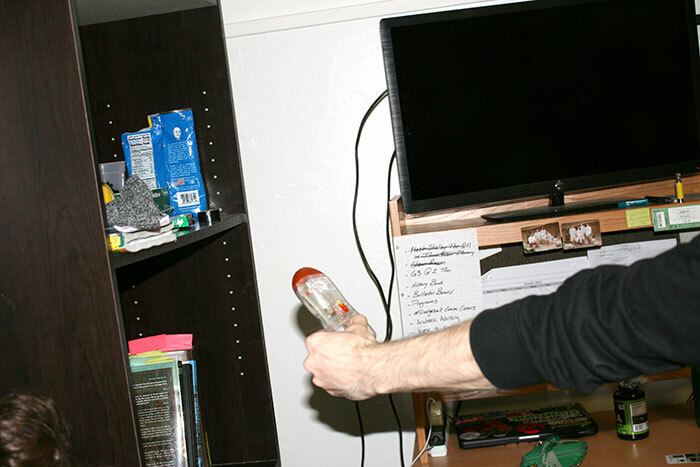 Click thumbnails to enter slideshow view. 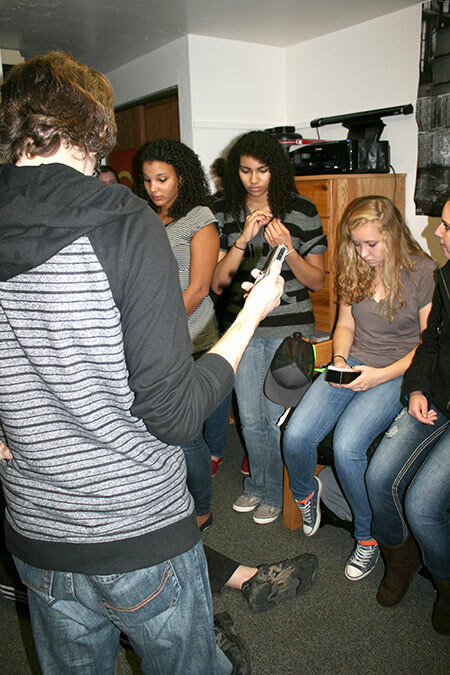 This entry was posted in News and tagged faculty, first-year seminar, Human Development, Photos, Residence Life, students on November 1, 2013 by Kelly Moore.